. Day of classical literature 古典の日 .
. Sushi Day 寿司の日 Sushi no hi .
. Banseietsu 万聖節 All Saints' Day .
. Shareisai 諸霊祭 All Souls Day .
. Maizuru Daruma Festival 舞鶴だるま祭 .
. Samhain Festival - Ireland . Preparations for the liquor start from this day. Introduced in 1952 by 経済産業省. New measure units have been adjusted in 1993, so the day was re-located from June 7 to this day. since 1983. In 1791 on this day black tea was introduced for the first time in Japan. introduced by the hot spring association of Nozawa, Nagano. introduced by the insurance companies. January is the month of life insurance and this is the starting day. since 1961. Indroduced by 商環境衛生同業組合連合会. The season of new rice starts and seafood is best now. Introduced in 1949 by 海上保安庁. In 1985 on this day they won against their adversary and became Nr. 1 in Japan. kantoku was Yoshida san 吉田監督.
. Culture Day 文化の日 bunka no hi.
. Meiji Shrine Festival 明治神宮祭 Tokyo . since 1954, when the first movie was released on this day. Hankerchiefs had been used by Mari Antoinette, and this day is the first holiday (in Japan) close to her birthday on November 2.
since 2002. On the culture day, to put manga on a level in Japanese Culture. On this day in 1946 (others quote the 16th of November) UNESCO was formed. goroawase. The number to dial when sending a telegram is 115.
kannazuki, kaminazuki 神無月 かんなづき . created in 1979 by the 日本雑誌広告協会.
. Memorial Day for Hattori Ransetsu 服部嵐雪 . In 1910 the first wooden apartment building was finished in Ueno, Tokyo. It was 5 floors high and had 70 rooms to rent. On this day in 1947, the first group-meeging of this kind took place in Tokyo at the banks of River Tamagawa. 386 young men and women came here to find a partner, but there were 2 men for 1 woman to meet. day of roll cake, every month on the 6th. If the cake is cut, the surface looks like the number 6. goroawase with ro(ku) 6.
. rittoo 立冬 Ritto. beginning of winter . goroawase with 11 8. Since 1991.
. 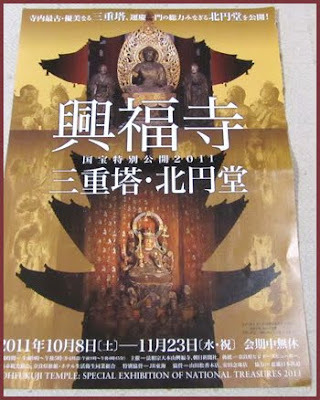 Honorable tenth night ritual 十夜法要. every day with a 9 is crepe day. goroawase with ku 9 九. Call the number 119 in case of a fire. goroawase.
. Memorial Rituals for Yuima Vimalakirti 維摩会 Yuima E .
since 1979. In 1890 on this day the first elevator was activated in Asakusa, Tokyo.
. Memorial Day for Saint Kuya 空也上人 .
. Armistice Day, Rememberance Day .
. Pocky no Hi - pocky sticks day . ポッキー＆プリッツの日. Since 1999. goroawase. four sticks look like 1111.
gorowasee. the footprints of geta look like 二　二.
goroawase. four look like 1111.
kiritanpo no hi きりたんぽの日 day of kiritampo food. goroawaes 11 11 looks like two pairs of socks. Lovers buy each other socks on this day. moyashi no hi もやしの日 day of soy bean sprouts. goroawase. four threads look like 1111.
goroawase. out of one sheath there come two pea nuts, like twice the same number 1.
. urushi no hi はうるしの日 day of laquer .
. Pandit Jawaharlal Nehru’s Memorial Day - India .
. Shichigosan, Shichi Go San 七五三祝 . hakamagi　袴着 Wearing the hakama for the first time.
. "Night of the tenth day 十日夜 (tookanya) . Harvest thanksgiving for the god of the fields. goroawase. This food had first been mentioned is literature in the year 1115 (永久3)年. (relates to people dressing nicely for shichi go san. since 1949. The first day when this material was sold in Japan. every month on the 15th. The first exhibition of sweets and cakes was in the past on April 15.
. Leonid Meteor Shower .
. Opening the tea jar (kuchikiri 口切の茶事 ) . since 1991, first created in Aichi, also for painting colors. goroawase いい色 ii iro ichi roku 16. 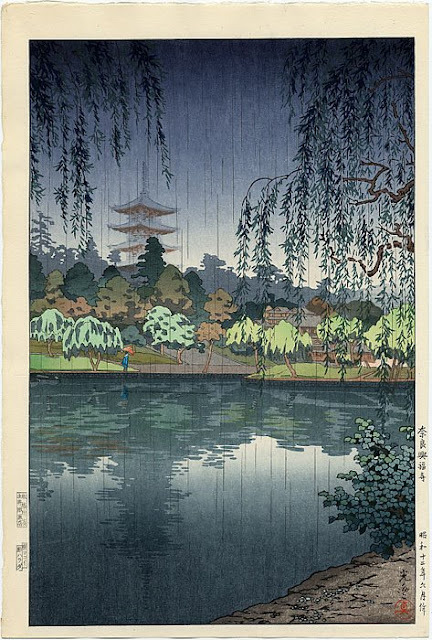 In 1875, the first indergarden was introduced in Ochanomizu, Tokyo. In 1876 on November 16, another one opened next to the School for Ladies 東京女子師範学校.
. shoogi no hi 将棋の日 day of shogi Japanese chess. In 1965, the first draft for professional baseball was started. created in 1994 by the lotus farmers of Ibaragi. This was the first day of their "lotus summit" (renkon samitto 「蓮根サミット」.
. renkon 蓮根 lotus root . Introduced in 1990 in Nagasaki, Shimabara town. This was the day when the volcano Unzen Fugendake 雲仙普賢岳 erupted after 200 years of silence. This yoghurt has been introduced in Japan by 家森幸男 of kyoto University. On this day in the year 2006 more than 1000000 people had bought this yoghurt.
. kinkatsu 菌活 active bacteria . created in 1994 by 国土保全奨励制度全国研究協議会.
. yukimi daifuku no hi 雪見だいふくの日 day of yukimi daifuku sweet buns . goroawase. 11 for ii (tasts good), 18 : when you open the package, there are two sweets and a pink stick, looking like 18.
created in 1959. She helps to protect school children on their daiyl way.
. Universal Children's Day - UN .
. Ebisu-koo　恵比寿講、夷講 Ebisu-Ko, Ebisu Festival . It used to be November 11. In 1890 the Teikoku Hotel帝国ホテル opened in Tokyo. This is the birthday of queen Margerita of Italy. She had a pizza made in the colors of the Italian flag, white mozarella cheeze, green basil leaves and red tomatoes. 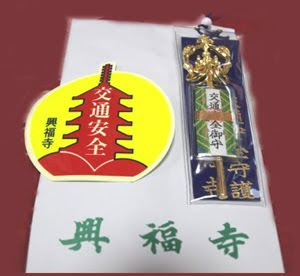 This prefecture was created in 1871 - 1871(明治4)年11月20日(旧暦). 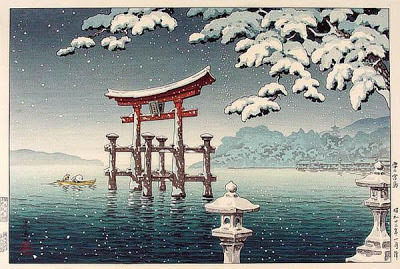 In the modern calendar it should be December 31, but the people still celebrate it on the old lunar calendar day.
. Memorial Day for Ishida Hakyo 石田波郷 . The first shop opened in Japan in 1970 on this day.
. shoosetsu 小雪 Shosetsu "small snow" .
. ii fuufu いい夫婦 day of good couples . created in 1870 the uniforms for the marines became stylized and various rows of (decorative) buttons sowed to it. This is the memorial day of prince Shotoku Taishi 聖徳太子, the deity of the carpenters. created in 1999 by the apple farmers. The main apple type is FUJI ふじ. goroawase. 「いい(11) ふうふ(22)」(いい夫婦) good couple (the "good couple" is Adam and Eve in paradise - and the apple story . .. Founded on this day in 1871. The day was created in 1989.
. Labour Thanksgiving Day 勤労感謝の日 .
. Memorial Day for Higuchi Ichiyo 樋口 一葉 .
. World Mother-in-Law's Day. Mother in Law . On this day at the imperial court and Ise Shrine specialities from the mountains and the sea are offered.
. chinmi 珍味 delicacies . Together with the Labor Thanksgiving day. started by the post office. Every day on the 23 (fu mi) is "letter day". created in 1981. Together with the Labor Thanksgiving day. From now on, people will need gloves to work outside.
. katsuobushi no hi 鰹節の日 day of dried bonito pieces . since 1894. On this day the first opera has been performed in Japan at the Tokyo Geijutsu Daigaku 東京芸術大学. It was a scene of FAUST by Charles Franois Gounod. Members of the Austrian embassy in Tokyo helped with the stage. The conductor was the German フランツ・エッケルト Franz Eckert.
. Memorial Day for Mishima Yukio 三島 由紀夫 . from 19 to 25 is High Vision Week. Since 1987, NHK uses 1125 scanning lines. since 1957. The Japan Die and Mold Industry Association 日本金型工業会 fas founded on this day. since 1963, the word "office lady" was used. In 1994, the OLネットワークシステム (OL network system) was founded.
. ii furo no hi いい風呂の日 day of a good bath . created by 日本浴用剤工業会 Japan Bath Additive Industry Association.
. pen no hi ペンの日 day of the writing pen .
. Memorial Day for Matsuo Basho 松尾芭蕉 . The 12th day of the 10th lunar month of 1694. The name "Pacific Ocean" was created by Ferdinand Magellan in 1520. On this day he reached the Pacific Ocean after passing the Magellan Straits. created by the Customs Office 財務省 in 1952.
. Bonifacio Day - Philippines .
. Independence Day - Yemen .
. honmirin no hi 本みりんの日 day of hon mirin . On this day the camera maker KONIKO 小西六写真工業 began to sell the first auto-focus camera. Advent begins with the Sunday after the 26th of November.
. Market on the Day of the Rooster 酉の市 .
. November - a month without Gods (kami no rusu 神無月) .
. WKD : November - a Haiku Month .
. WKD : World Days in November .
. Ceremonies, festivals, rituals - November .
. Memorial Days of Famous People - November .
. goroawase　語呂合わせ　wordplay with numbers .
. Japanese Calendar Days . A Shinto shrine on the island of Itsukushima (popularly known as Miyajima 宮島) in the city of Hatsukaichi in Hiroshima Prefecture in Japan. 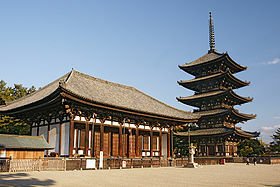 The shrine complex is listed as a UNESCO World Heritage Site. 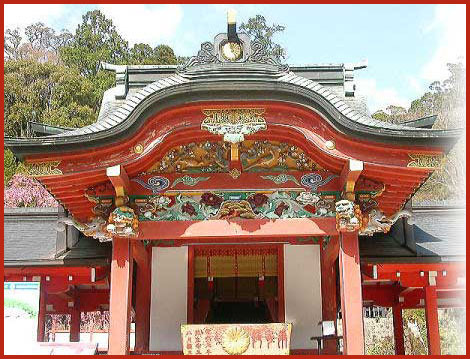 The shrine is dedicated to the three daughters of Susano-o no Mikoto, Shinto deity of seas and storms and brother of the great sun deity, Amaterasu (tutelary deity of the Imperial Household). 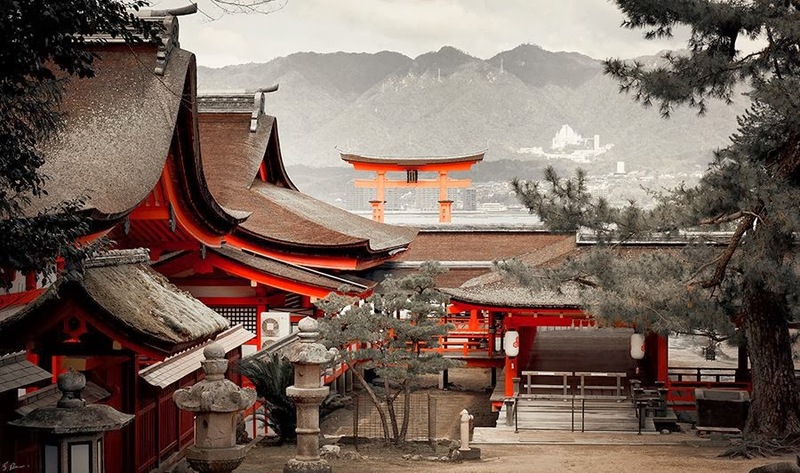 Because the island itself has been considered sacred, in order to maintain its purity commoners were not allowed to set foot on Miyajima through much of its history. In order to allow pilgrims to approach, the shrine was built like a pier over the water, so that it appeared to float, separate from the land, and therefore existed in a liminal state between the sacred and the profane. The shrine's signature red entrance gate, or torii, was built over the water for much the same reason. Commoners had to steer their boats through the torii before approaching the shrine. 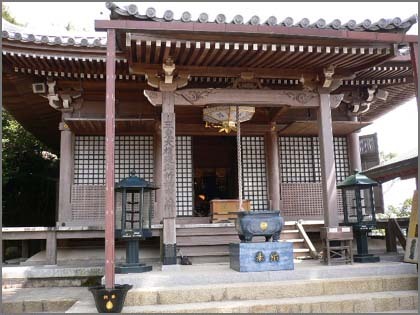 The first shrine buildings were probably erected in the 6th century, and the shrine has been destroyed many times, often by typhoons. In 1168, Taira no Kiyomori　平清盛 had it rebuild. I visited many times, is is truely an amazing place. 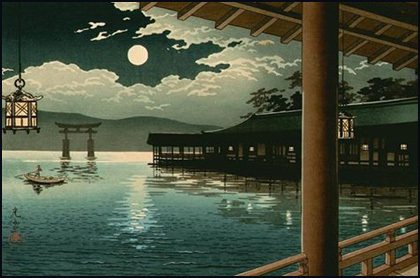 The reflections of the shrine in the water on a bright evening or moonlit night are superb. There are many shrines of this name in other parts of Japan. One of the three great ceremonies at the shrine. People involved in farming come to the shine to pray for a good harvest. Ritual dance performance and later a feast and talks about farmwork and crop prices held. 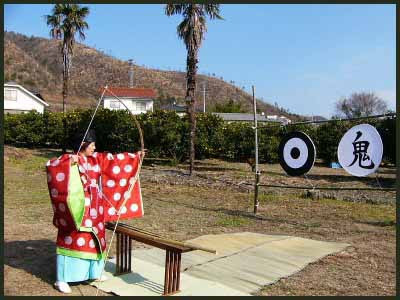 The target with the character 鬼, called the "demon target" 鬼的 and shot at with bow and arrow to prevent evil for the coming year. 歳旦祭 Saitan-sai Festival Ceremony starts at noon. Bugaku traditional dance performance starts at 5:30am. 地久祭 (Chikyuusai) Chikyusai Ceremony and Bugaku performance 05:30 Includes Batoh (Sunrise Dance) only performed once a year on this day. 17th day of the sixth lunar month. Now on the 17th day of July. The main festival of the shrine. Special gozabune ships are made for the procession toward the gate in the water. Bugaku dance performance and gagaku tradtional music are part of the festival. 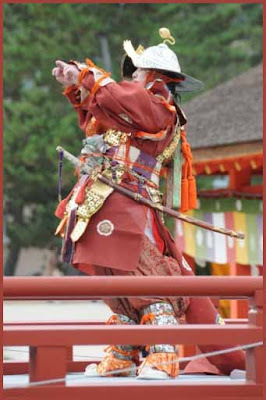 Ennen "life prolonging" dance performances are held at many shrines in Japan. "festival of grabbing the bead"
On the 14th day of the seventh lunar month, now in mid-August on a Sunday of high tide. On a boat in front of the main hall is a boat with a large rosary and young men of the island try to grab a bead of about 20 cm diameter for good luck. oshimeshi, o shime shi 御燈消（おしめし）"turning off the lights"
After the shrine is closed down for the winter, it will be re-opened the next year for "openening the mountain road" 山口開. Loggers are not allowed to go to the forest and cut down trees during the closed time. On the ten days from the first day of the wild boar in the tenth lunar month to the day of the monkey in the eleventh lunar month. Nowadays on the first day of the monkey in November. During these 10 days it is not allowed to make a loud noise on the island. Things that produce lound and high noises are covered with blankets to keep them quiet. The lids of rice cookers had to be closed especially carefully. On the last day, the day of the monkey, all lanterns and lights on the island are turned off and rituals are carried out in the dark. Due to belief in the "Three Female Kami" (sanjoshin) of Munakata at Itsukushima Jinja, the Itsukushima kami was worshipped as a protector of fishermen and boats. "To the west of the [Ōsaka] checkpoint (seki) is the kami of the battlefield, Ichibon Chūsan (Kibitsu Shrine) and Itsukushima in Aki ..."
After becoming governor of Aki (Aki no kami 安芸守) in 1146, Taira no Kiyomori (1118~1181) often visited the shrine. 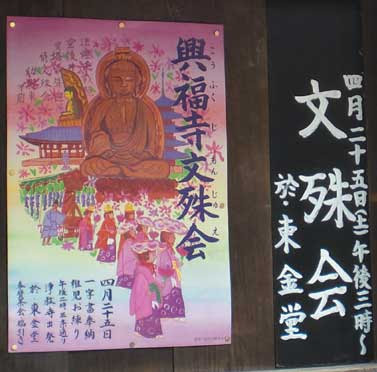 Upon Kiyomori's recommendation, Goshirakawa-in and Kenshunmon-in visited the shrine in the third month of 1174, and Takakura Jōkō visited twice. At the end of the Heian Period Itsukushima was worshipped by the entire Heike clan, and in 1168 the shrine's shaden structure was restored and expanded. 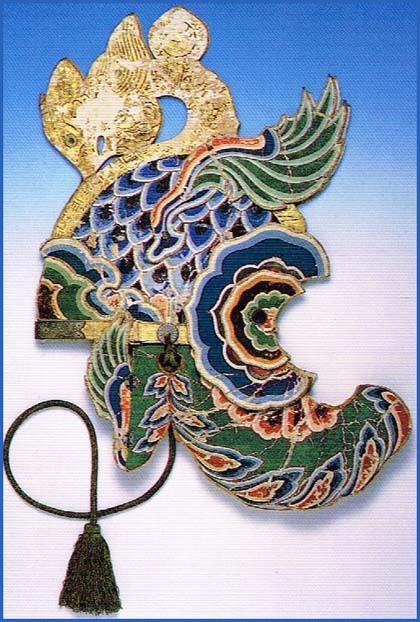 This connection to the Heike clan may have originated in the trade and shipping in the Inland Sea that had flourished since the days of Taira no Tadamori (Kiyomori's father). 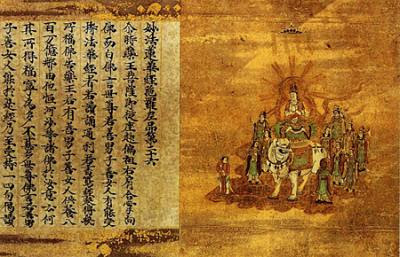 Due to Heike devotion, the Heike Nōkyō scrolls 平家納経 (a National Treasure) were originally donated to the shrine in 1164. In the medieval period Itsukushima was supported by the Ōuchi and Mōri clans, and the Shingon temple Suishōji 水精寺 became the shrine's administrative temple. 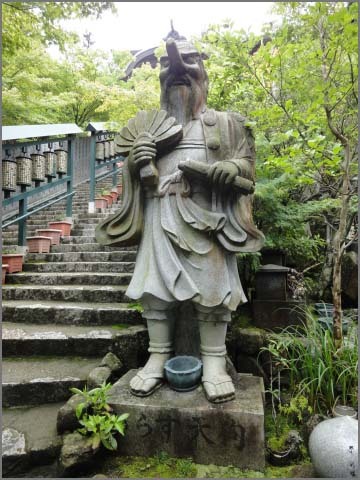 Also a legend began that Kūkai founded (kaisan) the temple Misen. 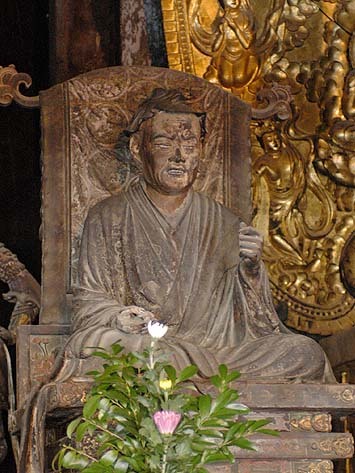 The "original Buddhist deity" (honji) of Itsukushima was believed to be the Eleven-faced Kannon (Ekadasamukha Avalokitesvara) or Mahâvairocana. Among commoners, a cult of Ebisu-gami developed, and Itsukushima was also worshipped by fishermen and merchants.
. Shrine Munakata Taisha 宗像大社 . 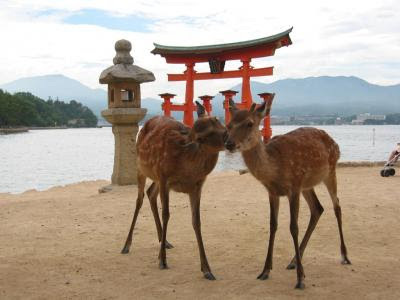 The Deer are seen as messengers of the deity of Miyajima and roam freely, sometimes as a nuisance for the tourists. Legend knows that when Mori Motonari and Sue Harukata fought their battle in 1555, Harukata had his troops near the shrine, while Motonari landed on the other side of the island, trying to get over the mountains and through the dense wild forest to make a surprize attack. His troups almost lost their way in the dark night, but then a deer showed them the small path. The island is also famous for its red maple leaves in autumn. Most rituals are accompanied by bugaku dance on the stage above the water.
. toshi kurenu kasa kite waraji hakinagara .
. Tengupedia - 天狗ペディア　- Tengu ABC-List. The local people call them 三鬼さん Sanki San. 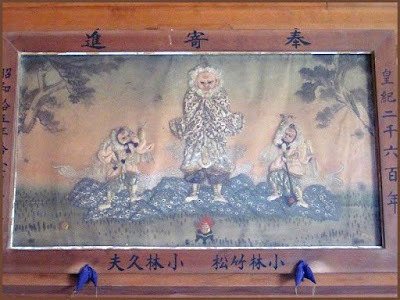 Sanki Daigongen are three fierce guardian gods of 弥山 Mount Misen. With the separation of Buddhism and Shinto during the Meiji period, they were moved to the 三鬼堂 Sankido Hall from their shrine 御山神社 Miyama Jinja. 大小の天狗 Big and small Tengu, long-nosed goblins, are their servants. Many people visit here to pray for the happiness of their family and the success of their business. The first Prime Minister of Japan, 伊藤博文 Ito Hirobumi is said to have been an earnest devotee. He contributed a large amount to construct the climbing path. Kirishima city is located on the northeastern part of Kagoshima prefecture. the “Tenson Korin Gojinkasai” festival, a fantastic fire festival in fall, and the performance of the Kumen-daiko drums in winter. “Kagura” is a traditional performing art featuring dance and music that dates back to ancient Japan. Music, songs and dances are performed wholeheartedly to please the gods. The mountains of Kirishima are an important site in the creation mythology of Japan. It was in this area that the god Ninigi no Mikoto, grandson of the sun goddess Amaterasu, is said to have descended from heaven to rule over the earth. Ninigi no Mikoto landed on nearby Mt. Takachiho-no-mine 高千穂峰 bringing with him the three imperial regalia: the sword, the mirror and the gem; symbols of the imperial family. He eventually married a local princess, becoming mortal in the process, and established the lineage of Japanese Emperors. 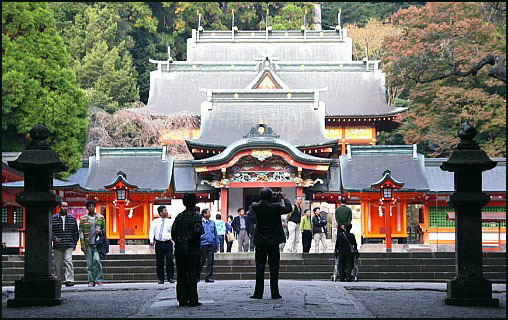 Devoted to Ninigi no Mikoto, Kirishima Shrine was built during the Muromachi Period on a different site from where it stands today. Since then it has been destroyed numerous times by volcanic eruptions, but always rebuilt. The current shrine was constructed in 1715 where it survives to this day. Its large, beautiful buildings are surrounded by forest and have been declared important cultural property.
. Ninigi ニニギ　and Sakuyahime 花咲屋姫命 .
. Jinmu Tenno 神武天皇 . Harvest thanksgiving festival (niiname sai 嘗祭) at Kirishima shrine. The newly harvested products are offered in gratitude to the deities. With a children's mikoshi portable shrines parade and children's brass band performance. There is a sumo wrestling ritual and archery. Nowadays even gateball for the elderly. Other local dances and arts are also performed. The monthly festival Tsukinamisai 月次祭 is on the 19th. If you get all nine together, your wish will be fulfilled. They represent the nine original kagura dance masks in the treasure house of the shrine. 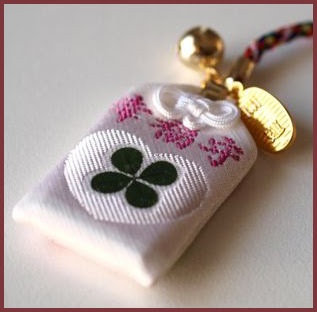 They are amulets for good business, preventing evil and disaster and help progress in the arts. The kami who, as grandchild of Amaterasu ōmikami, descended from the Plain of High Heaven (Takamanohara) to the peak of Takachiho in Hyūga of Tsukushi (present-day Kyushu) to rule over the "Central Land of Reed Plains" (Ashihara no Nakatsukuni). Offspring of Amenooshihomimi and Takagi no kami's daughter Yorozuhatahime. While the precise meaning of many of these names is debated, they all denote a male kami of the "heavenly kami" lineage, related in some way to rice production. According to Kojiki and Nihongi, Ninigi's father Oshihomimi was first commanded to descend and rule the Central Land of Reed Plains, but Ninigi was born while the Central Land was being pacified in preparation for Oshihomimi's descent. 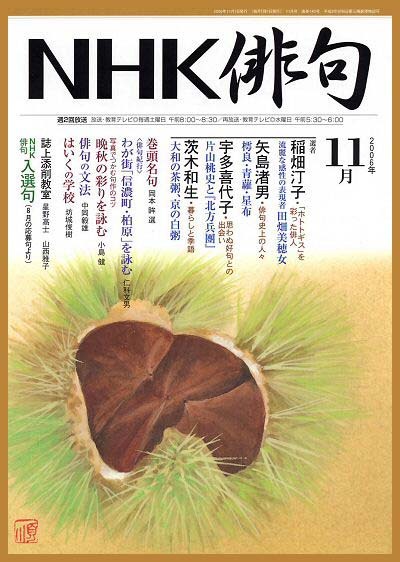 The main text of Nihongi states that Ninigi's grandfather Takamimusuhi raised him with particular affection. Furnished by Amaterasu and Takamimusuhi with five retainer kami, as well as with the symbolic sword, mirror and jewel, Ninigi descended in place of his father Oshihomimi. He married the daughter of the "earthly kami" (kunitsukami) named Ōyamatsumi, and later fathered the first emperor Jinmu as well as the ancestors of the Owari and Hayato clans. According to the main text of Nihongi, Ninigi was buried in the mausoleum of Hyūga-no-e in Tsukushi (Kyushu). 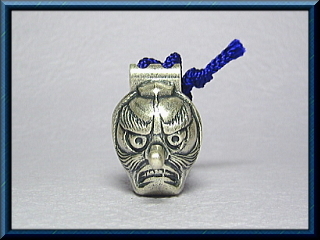 Tamanooya no mikoto (ancestral kami of the jewel-making clans). 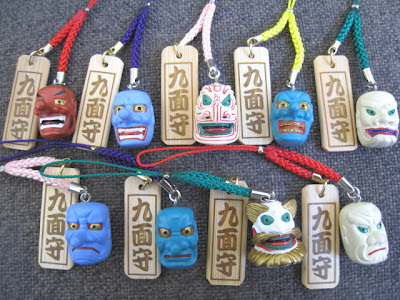 The same kami names are listed as retainers in an "alternate writing" recorded by Nihongi. Other kami accompanying Ninigi included Omoikane, Tajikarao, and Amenoiwatowake, while Amenooshihi and Amatsukume no mikoto (ancestor of the Kume no Atai clan) went before Ninigi carrying bows, arrows, swords, and other weapons. Sendai kuji hongi claims that thirty-two kami accompanied Ninigi.
. Introducing Japanese Deities .
. Kagura Dance　神楽 .
. Kagoshima Jingu 鹿児島神宮 Kagoshima Shrine . ***** . OBSERVANCES – AUTUMN SAIJIKI . ***** . Kirishima tsutsuji 霧島躑躅 Kirishima azalea . Performed on the day of the tiger in the eleventh lunar month. Nowadays one day before the harvest ceremonies (niinamesai). "Settling of the soul ritual." A ritual of the ancient and medieval eras. Also called "mitama furi," "mitama shizume," "ō-mitama furi," "tama shizume no matsuri." According to the Explanations of the Prescriptions (Ryō no gige), the rite is intended to "call back" and "pacify" a soul that is trying to depart from someone’s body. The state ceremony (in other words the ceremony as codified under the Ritsuryō state) was used to strengthen the spirit-soul of the emperor before he performed the major rituals of Daijō sai and Niiname sai and was to take place on the "day of the lion" (tora) prior to those rites. First referred to in the "eleventh month, 685" entry of the Chronicles of Japan (Nihon shoki). 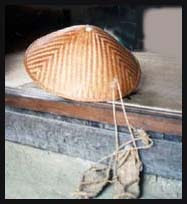 Usually the rite was performed within the Imperial Household Ministry (Kunaishō) where a "landing place" (kamiza) for the deity was constructed. The ministers and lesser officials attended bearing the emperor’s clothes, while shrine virgins (mikannagi) and kagura-dancers (sarume) from the Department of Divinities (Jingikan) conducted the ceremony. 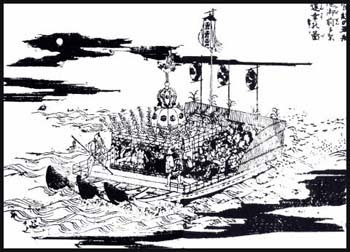 This ceremony uses a special type of large vessel known as ukifunetsuki 有卦船, which some say reflects the Ame-no-iwato legend, although contrary theories exist as to its significance. After the end of the Heian period, the buildings for the Department of the Imperial Household no longer existed and the ceremony was held where they once stood. The ritual was abolished in the fifteenth century and then revived in pre-modern times, though it no longer followed its original formula. It has taken place on palace grounds since the Meiji era. In the ancient and medieval eras, settling of the soul ceremonies were also performed for the junior empresses and crown prince. The terms chinkon and kishin are found in the classics but use of the four-character phrase became common only after a Shintō-derived new religion, Ōmoto, began to use it. Here, chinkon refers to the procedures for healing and directing spirits; by extension, it also refers to joining a deity's spirit [with a human subject]. Kishin means possession by the spirit of a kami. One type of kishin is abrupt and spontaneous while another is humanly induced through the process of chinkon. 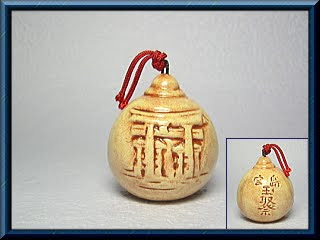 Various kinds of possessions are distinguished and finely graded, with spiritual unity between an individual and Ame no minakanushi considered the supreme form of kishin. 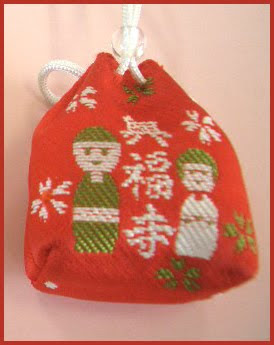 One of the special festivals (kisai) of Japan. Shiritsumi Matsuri is a festival in the evening, which is performed in the dark hall of Otonashi Shrine. 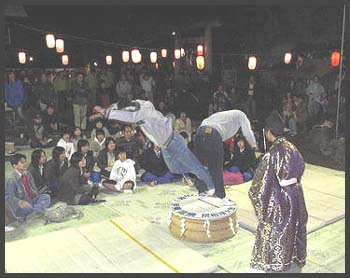 The festival features Shiri-sumo, which is fought by two people on a wooden basin hitting each other by their hips in accordance with the festive music to push the opponent out. Thus, it is one of the strangest festivals in the country. Whoever wants to play Shiri-sumo may participate the fight on the spot. 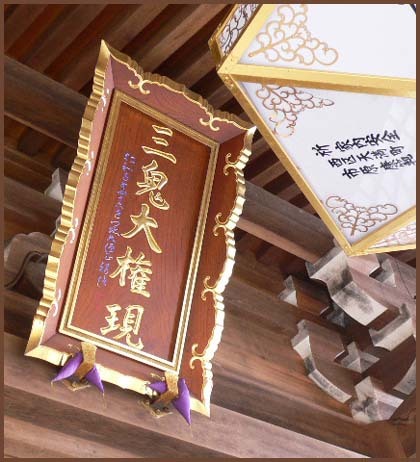 otonashi literally means "without a sound"
In the dark shadows below the huge camphor tree (kusu no ki) there are no lanterns during the festival and people are not allowed to talk or laugh. 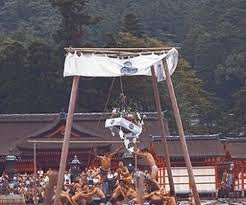 In this darkness, the priests perform purification rituals, hand the ritual sake around and then the "hip sumo" begins. The ritual is in memory of Minamoto no Yoritomo 源頼朝, who was in exile on the peninsula and fell in love with the daughter of Ito Suketaka 伊東祐堯. The lovers met secretly in the dark below the tree, not talking to each other. was the founder and the first shogun of the Kamakura Shogunate of Japan. He ruled from 1192 until 1199. 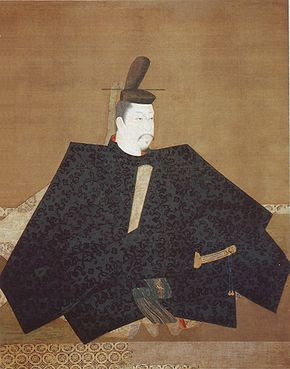 Yoritomo was the third son of Minamoto no Yoshitomo, heir of the Minamoto (Seiwa Genji) clan, and his official wife, a daughter of Fujiwara no Suenori, who was a member of the illustrious Fujiwara clan. Yoritomo was born in Atsuta, Owari Province (present-day Atsuta-ku, Nagoya). At that time Yoritomo's grandfather Minamoto no Tameyoshi, was the head of the Minamoto. In 1156, factional divisions in the court erupted into open warfare within the capital itself. The cloistered Emperor Toba and his son Emperor Go-Shirakawa sided with the son of Fujiwara regent Fujiwara no Tadazane, Fujiwara no Tadamichi as well as Taira no Kiyomori (a member of the Taira clan), while Cloistered Emperor Sutoku sided with Tadazane's younger son, Fujiwara no Yorinaga. 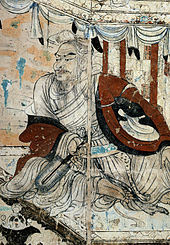 This was known as the Hōgen Rebellion, or the 'Hogen Disturbance'. His rival was Taira no Kiyomori.
. Hōjō Masako 北条 政子 .
. 大島山瑠璃寺 Ojimasan Ruri-Ji Nagano .
. 中山道 Nakasendo Road . Mother of Minamoto no Yoshitsune. She was later captured by Taira no Kiyomori, and became his concubine in exchange for assurances of the safety of her family. Later she married Fujiwara no Naganari. Her family and protecting her children was the most important thing in her life.
. Nakayama ningyoo 中山人形 Dolls from Nakayama . was the head of the Minamoto clan and a general of the late Heian period of Japanese history. His son Minamoto no Yoritomo became shogun and founded the Kamakura Shogunate, the first shogunate in the history of Japan.
. Minamoto no Yoshitsune 源の義経 (1159 - 1189) . ***** . 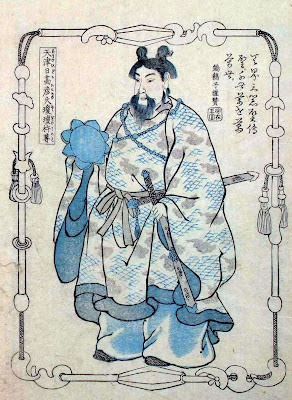 Sutoku Tenno, Sotoku, Sudo 崇徳天皇 (1119 - 1142) .